Why not merge the most important meal of the day with an interesting panel discussion about Research through Design? 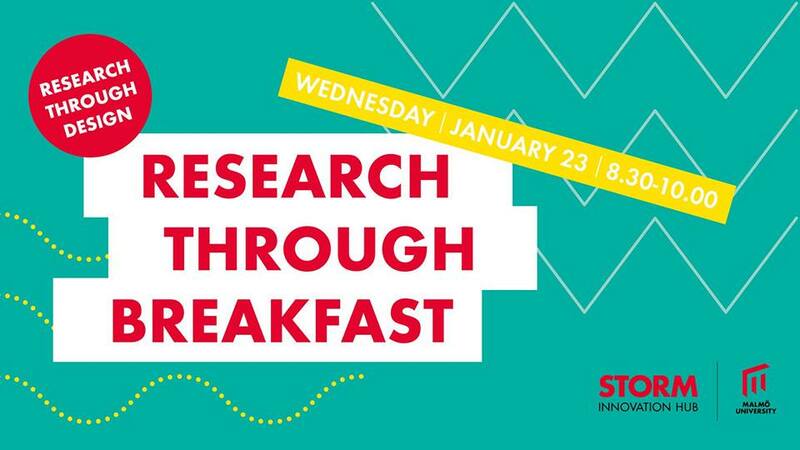 Come join us at Storm on January 23 for some breakfast and a moderated talk about what Research through Design is and and what it can give back to society. During four days Storm highlights Research through design with tangible examples and research talks about the impact, usefulness and distinctions in relation to other research methods. Research Through Design is a concept that describes a research approach where the design process in itself becomes a way to acquiring new knowledge. The concept is connected to research into and for design as well as Practice-Led and Practice-Based Research. – Doctoral Student in interaction and game design. By taking a critical approach to our current treatment of animals in society, Michelle is researching how the design of artefacts that mediate playful, joyful, or surprising encounters between animals and humans can inspire us to imagine alternative – non-speciesist – futures. Lars is researching interactive machine learning with a special research interest in Computer Science, Computer Engineering, Systems Engineering and Interaction Design. – Doctoral Student in Participatory Design. Alicia is a Doctoral researcher with a strong socio-political focus. Her research concerns the affordance of agency through social infrastructuring and democratic co-creation within the public and civil sector.